This class doesn’t only consist of pure hip hop or street dance style. 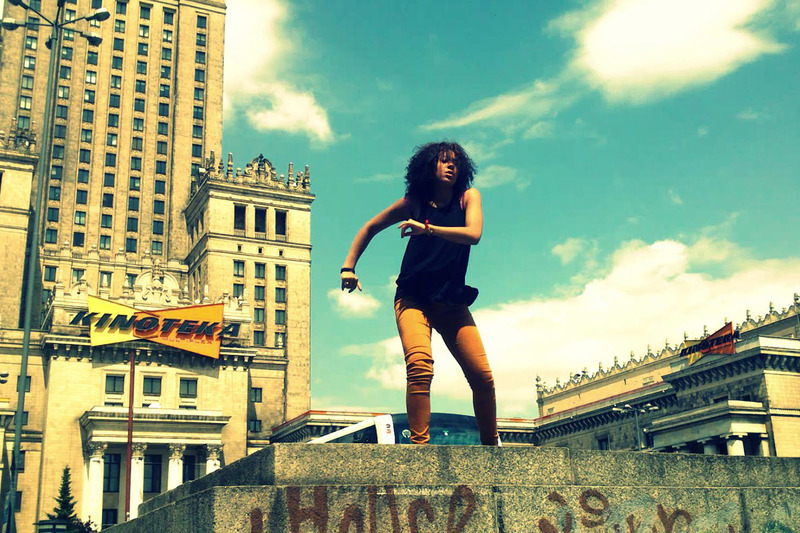 Sihäm takes elements from other styles into her choreo such as from flamenco or contemporary. She calls her own dance style as experimental and expressive. But check it out yourself – in the video or even better in visiting and experiencing her course. Sihäm’s music selection goes from hip hop and old school to very different other styles, always focussing creativity and diversity. There is no special dress code. Just wear something comfortable and clean shoes. Sihäm’s lesson is for everyone who is fascinated by dancing, no matter if you dance three weeks or three years. Probably it is ideal if you are between beginner and intermediate dancer. However, Sihäm’s classes welcome everyone who wants to learn and improve himself, regardless of your dancing level. She mainly wants to share her own passion and experiences in all of her classes and workshops.